THE CYPRUS open bidding program for the first resort style casino to be located in Western Europe continues to generate interest from casino operators worldwide. Appointed by the Government of the Republic of Cyprus, the Ministry of Energy, Commerce, Industry and Tourism, has been tasked to advance the process of licensing a single integrated casino resort that will be the leading resort destination in Europe and amongst the best casinos in the world. Together with an economic restructuring in 2013, the privatization of major ports and marinas and an election to a western style leading government, Cyprus is a much more appealing place to invest and an ideal travel destination. This “Super Casino” is projected to include malls, restaurants, shopping and entertainment venues unlike any other in the EU or the Middle East and will rival some of the casinos currently seen in Las Vegas and is expected to attract an additional half to one million tourists a year. Realty International Group (RGI), a U.S. realty company based in Beverly Hills, CA, is currently focused on their properties in Cyprus and has put together a casino proposal package which includes an initial pre-established consortium. The consortium consists of prominent institutions and key people already in place for any interested party to easily proceed into the bidding process which will conclude by May 2015. With several large plots of land and over 1 million sq ft on their books available for purchase for such a project; RGI is profiling their largest beachfront parcel that is eligible for the casino development. Located across a prime coastal area of Larnaca, and boasting over 3.5 million sq feet of land, this property includes over 1,200,000 sq ft of buildable plots and over 1,000,000 sq feet of tourist zone areas that can be utilized for a golf course, gardens, water attractions, horseback riding, canals and more. Approximately 150 meters from the sea and 4Km from the airport (noise study available), this is potentially the largest piece of land with road access that features the natural “Salt Lake” famous for the “Flamingo” migration each year. Some estimates, per an appraisal, are accommodations for a 900 room 5-star hotel, conference centres and large tourist attraction areas. This location, in addition, is open for discussions regarding partnerships or joint venture agreements. As the first and only American real estate company working in Cyprus, RGI has teamed up with key alliances on the island to ensure their clients the ability to provide the support needed for a project of this magnitude. Actually no. RGI is an American-based company with offices and real estate developments worldwide. If you would like further information, please visit http://www.rgico.com and send us a note. I would like to add/correct, RGI is not seeking a casino license. They have opened their bidding process for investors and casino operators to procure the land(s) they have available. 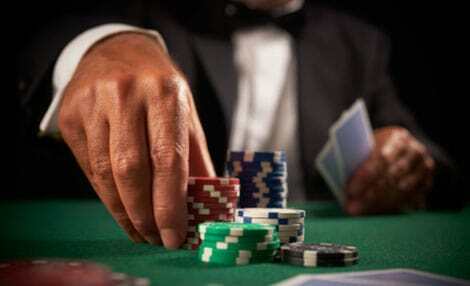 Casino economy in Cyprus – so perfect marriage perhaps?